The detection and measurement of the dynamic interactions of proteins within the living cell are critical to our understanding of cell physiology and pathophysiology. With FRET microscopy and spectroscopy techniques, basic and clinical scientists can make such measurements at very high spatial and temporal resolution. But sources of background information about these tools are very limited, so this book fills an important gap. 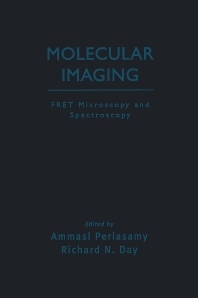 It covers both the basic concepts and theory behind the various FRET microscopy and spectroscopy techniques, and the practical aspects of using the techniques and analyzing the results. The critical tricks for obtaining a good FRET image and precisely quantitating the signals from living specimens at the nanomolecular level are explained. Valuable information about the preparation of biological samples used for FRET image analysis is also provided. The methods covered include different types of microscopy systems and detectors (wide-field, confocal, multi-photon) as well as specialized techniques such as photobleaching FRET, FLIM-FRET microscopy, spectral imaging FRET, single molecule FRET, and time and image correlation spectroscopy. Starting from the basics, the chapters guide readers through the choice of probes to be used for FRET experiments and the selection of the most suitable experimental approaches to address specific biological questions. Up-to-date, consistently organized, and well-illustrated, this unique book will be welcomed by all researchers who wish to use FRET microscopy and spectroscopy techniques. Biochemists, molecular and cell biologists.